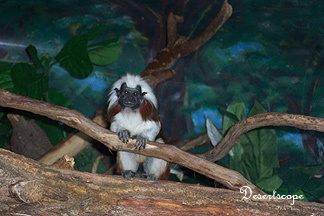 One of the areas that we frequent is the El Paso Zoo. 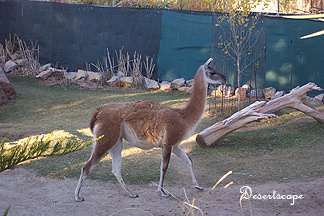 Located in the downtown section of El Paso, the zoo is modest in size. It is about twenty acres and it contains several hundred different species of animals, birds and reptiles living in artificial habitats. The zoo also has a large variety of reptiles, birds, small mammals, and big carnivores such as wolves, jaguars, black sun bears, tigers, and the sea lions in their newly built habitat. Besides animals, various local and exotic plants thrive here, making the zoo the greenest spot downtown. Occasionally, the zoo hosts special activities and live music. One of the attractions is the Christmas lights. Each year, around Christmas, millions of Christmas lights are hung from the trees, shrubs, cages, and fences, making the whole area shimmer with a colorful brilliance. My son’s favorite, of course, are the elephants. 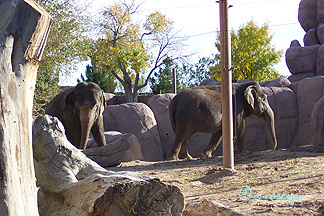 Every time we go there, we have to stop by the elephant exhibit and linger for a while. When he was little, we bought a pair of elephant slippers from the zoo shop that he used to put on himself all the time; until it was too small for his growing feet. For a small zoo, it has its own uniqueness to attract local families to come back over and over.